Macs Don’t Make You Creative! So Why Do Artists Really Love Apple? Chances are you have at least one “creative” friend who’s a Mac advocate. Ever wondered how Apple got a reputation as the “creative company,” or why artists are so drawn to them? Surely, computers can’t make you creative, can they? Maybe you’re an avid Mac Hater, or maybe you’re an Apple advocate—chances are you’ve heard of this myth and wonder why people all seem to think this way. Take a look through the history of Apple, and see why Macintosh has become so synonymous with desktop publishing, photography, creativity, and design industries. 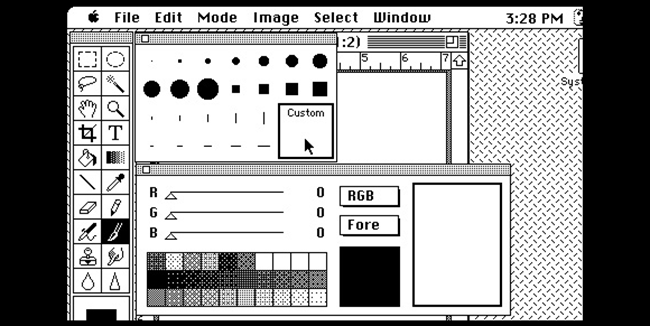 Contrary to opinion, Apple did not create the first operating system with a Graphic User Interface. The Xerox Alto was the inspiration behind the first Apple computers with GUI-based operating systems. Developed in the seventies, the Alto (as well as many other computers) were not commercially viable products, and were used mostly by engineers, many at Xerox. The idea of “Personal Computers” was, at one time, completely alien. Computers, as most people knew them, were complex machines that cost many thousands of dollars and required teams of engineers to program proprietary machine code to even do modest tasks. Apple was inspired by the friendliness of the GUI Xerox had developed, and began developing more affordable computers and their own Graphic User Interface. By the early 80s, Apple had put out a number of machines, including the famous Apple II, as well as the Apple Lisa, the first Apple computer to feature a GUI. Lisa was a disastrous product, despite being Apple’s brave first foray into Graphic Interfaces. By 1984, Apple launched the first Macintosh, and began building their reputation as a group of outsiders—dangerous, creative people thinking “outside the box.” In a world dominated by IBM clones and DOS-boxes, the Macintosh was radically different than practically anything on the market at the time. With the famous “1984” commercial, Apple began to market their brand, appealing to customers that appreciated the nice graphical touches and artistic details the monospaced text of DOS couldn’t provide. Apple has come under fire, criticised for creating “closed platforms” in the iOS-based iPhone and iPad devices. Despite all of this, a lot of Apple’s early success can be attributed to the Apple II, which was designed with a lot of the openness we expect in personal computers today. The Apple II allowed for customization beyond the basic, closed platform of Apple I, with third-party companies creating expansion devices, adding ports, controllers and hardware as users demanded. The Apple II was also a huge success because Apple stepped away from the business model of the day, and allowed third-party software companies to develop software that could be installed an run by their machines. Before the age of Apple II, most computers only had software developed by the same company selling the hardware. 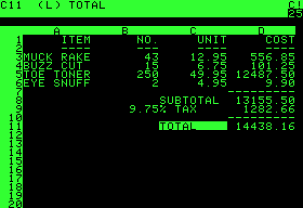 Apple II enjoyed runaway success when the first spreadsheet program, Visicalc, was created and sold by Visicorp, making the Apple II one of the first computers with any serious business application. Early into the Macintosh’s history, Adobe stepped onto the scene, creating Postscript and the concepts needed to create vector based fonts. Postscript was developed by ex-Xerox PARC engineers, which by 1985, brought quality, printable graphics to users via the Apple Laserwriter, one of the first laser printers available commercially on the market. Jobs also claims that his interest in fonts and calligraphy was one of the reasons good typography was such a major part of the early Macintosh machines. Adobe’s work with Postscript led to the development of the first digital fonts, using tools that they had to create themselves. Low resolution displays were completely inappropriate for recreating typography with any degree of accuracy, so Adobe engineers developed vector drawing tools that eventually became Illustrator 1.0, once the tools were marketed to consumers. Macintosh owners could start installing Illustrator 1.0 as early as 1987, with a serious upgrade by 1988, marketed as “Illustrator 88.” Computer-based design was on its way to becoming viable, and Adobe began to target its Mac-based software at Graphic designers and professional creatives. Around this time, a University of Michigan graduate student began developing a raster-graphics program for his Macintosh he would later name “Photoshop.” Presenting his software to Adobe, Photoshop quickly became a company-defining product for them, and shipped in 1990 as Macintosh only software, quickly becoming the market leader in graphics software. 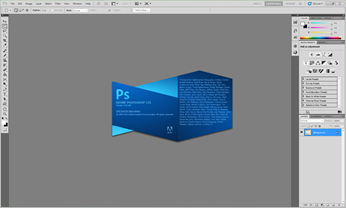 With two of the earliest commercial design products under their belt, as well as some of the earliest quality fonts, Adobe had more or less created computer-based graphic design as we understand it today, and had done it largely using Mac as a platform. Apple had gone through some tough times, and were attempting to reinvent themselves again as a friendly and user-friendly computer company. With the popularity of Windows overshadowing their market share, Apple chose to strategically simplify their machines and begin marketing to users, stressing easy setup and simple, attractive design. In an era when nearly all computer cases were plain beige boxes, masses of cables and boxy monitors, Apple engineered neat, compact computers like the first iMac, and made them available in bright, collectible colors, a strategy they continue to use to this very day. While their early marketing push to design-oriented computer users was arguably a success, Apple was now attempting to reach a new market in users that were simply intimidated by computers. And while Microsoft had done their part in simplifying the operating system for users, they didn’t offer the emphasis on design Apple put into their hardware. By emphasizing the design of unique hardware and ease of use, Apple managed to capture the market share of artistic and creative users, many of which were not computer-savvy nor liked beige boxes. And, as such, while Windows was quickly becoming a viable platform for Adobe’s Photoshop and Illustrator—most creative people probably wouldn’t have understood why anybody would even want to use a Windows based machine. In 1999, OS 9, the final operating system in the “classic” line was replaced by OS X, an entirely new OS based on Unix and BSD operating systems. OS X focused in even more on Apple’s core market of design-appreciating and art-friendly crowd. The increasing popularity of the internet made it necessary for the operating system to be more friendly towards Windows machines. Apple created simple program launchers and slick new desktop environments, making the incredibly complex machine as simple as possible for computing-challenged users. During this transition, Apple had to change their hardware from PowerPC architecture processors, opting instead to go with Intel. This cleared the way for XP installations on Macintosh machines, much to the chagrin of many Mac evangelists. This move toward Intel caused serious problems with Adobe software, among others. Windows XP had become an accepted platform for Photoshop, and this sudden change to Intel computers left a gap in service for the Macintosh’s killer apps, Photoshop and Illustrator. Many Mac users delayed their upgrades, as this dramatic change temporarily rendered the major reason for buying a Mac, in their eyes, unusable. It wasn’t long after when Apple created emulators and Adobe created the Intel based Creative Suite 3, and irate designers and artists could stop worrying about why they could no longer get Photoshop on a Mac. It becomes clear that Apple’s reputation as the “hip, creative company” has been a combination of their smart marketing going back to the very early days of the company. While they have expanded their marketing to mass market products like the iPod or iPhone, their emphasis on aesthetics and simple, easy operation clearly stem from their roots as the platform for digital graphics and design. Whether they’ll remain as the go-to choice for artists and designers, or, as their market share increases, transition to something else entirely, still remains to be seen. 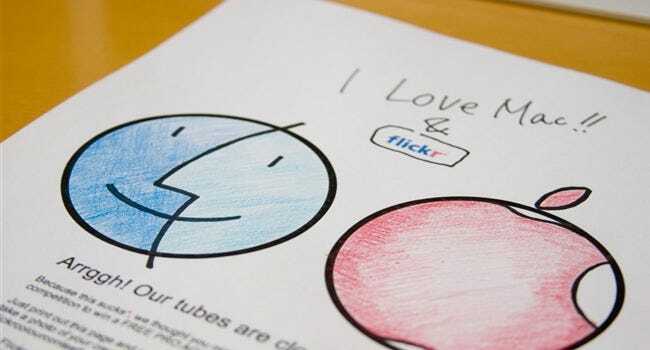 Image Credit: I love Mac by nakagawa, available under Creative Commons.